FLEETWASH has been washing trucks daily since 1973! 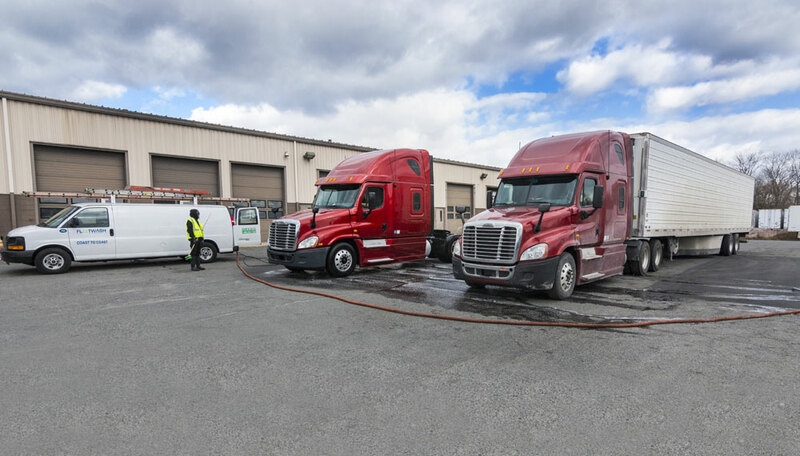 We provide vehicle and fleet owners with simple, low-cost truck and facility washing with the security of our patented water-recovery system. 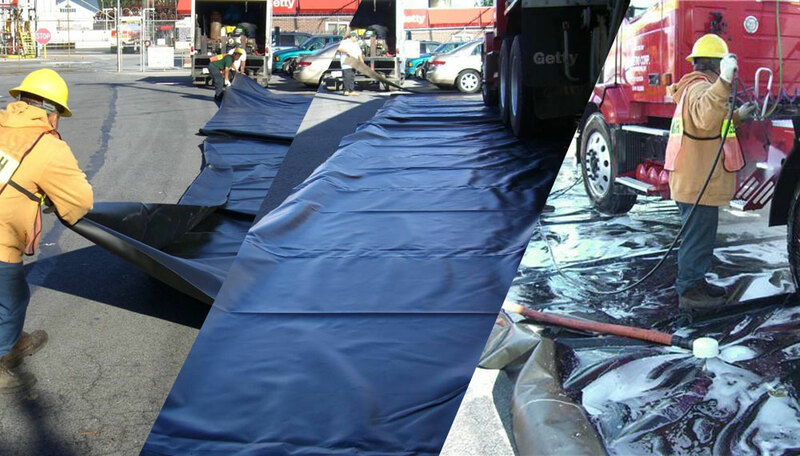 Since the early days of mobile truck washing, FLEETWASH has been an industry innovator in water recovery. 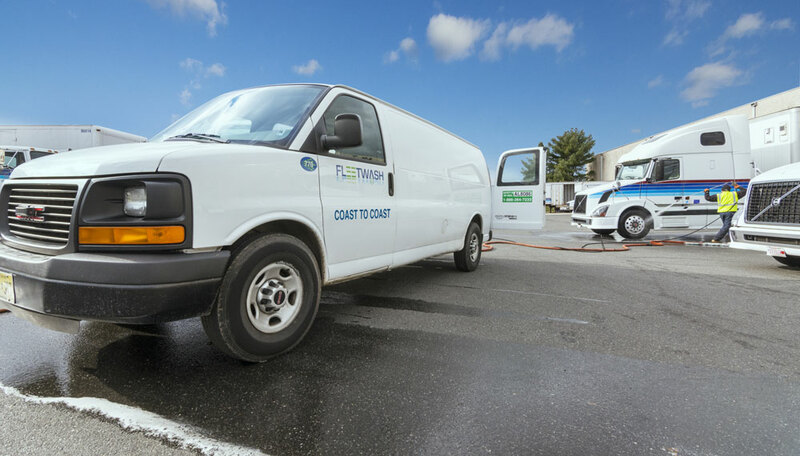 The FLEETWASH mobile wash system works anywhere, at any terminal, with NO fleet owner capital investment. Over 700 FLEETWASH mobile units are deployed daily servicing companies – large and small – from coast to coast. 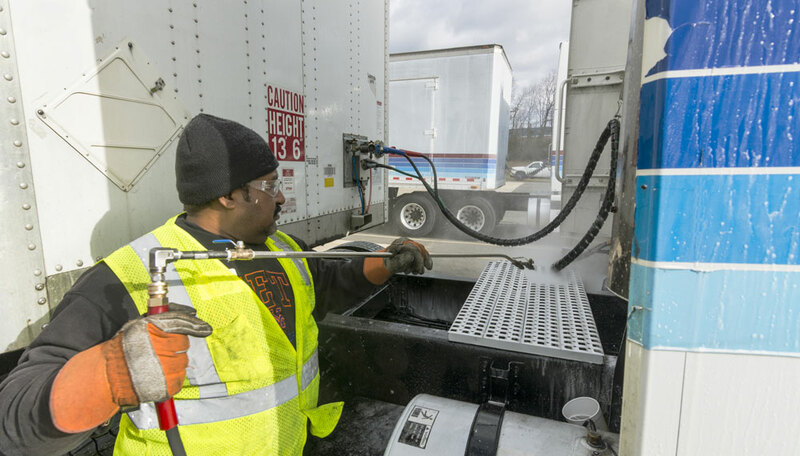 FLEETWASH trained field people complete every job, every wash, every trailer washout, and every water elimination according to the procedures FLEETWASH has standardized around the country. Last year alone FLEETWASH completed over 8 million truck washes! 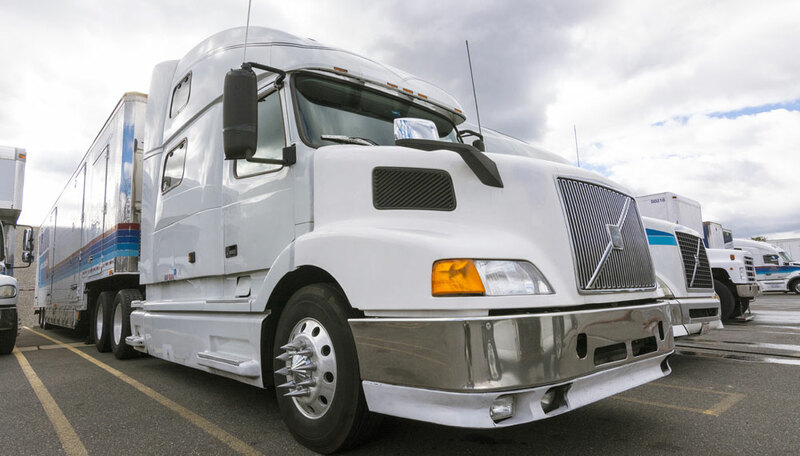 Why is Proper Truck Washing Important? 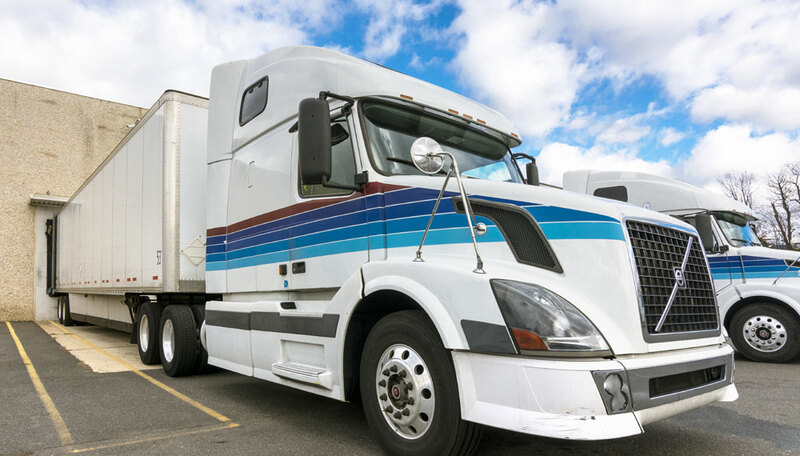 Trucking companies and refining companies are under increased pressure from State, Federal and Local authorities to comply with regulations concerning vehicle washing. Regulations have been put in place to prevent or limit contaminants found in effluent wastewater from entering storm drains. Wastewater is an even larger concern for transportation terminals near streams or tidal areas where runoff can affect the surrounding environment and its ecosystem. 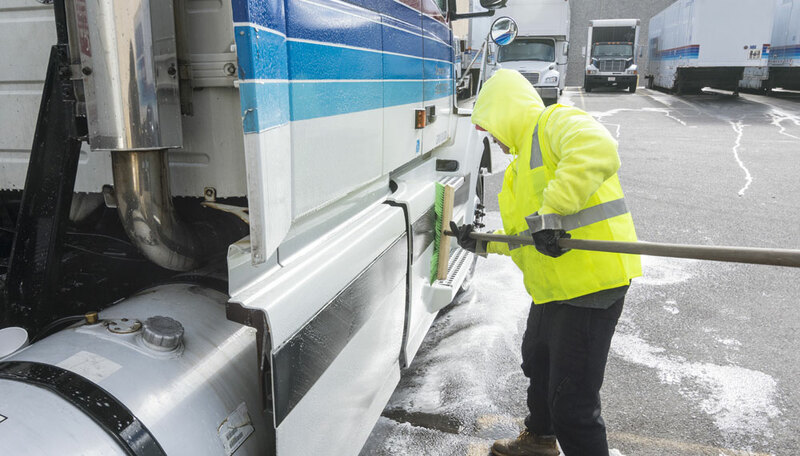 Truck and Fleet owners understand the need for clean vehicles. Not only does a clean vehicle positively impact your brand but it protects your investments as well. 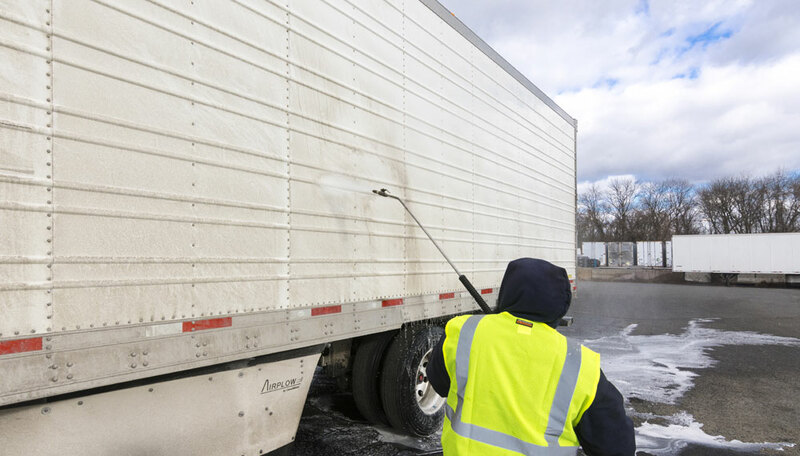 Maintaining a regular cleaning schedule removes corrosive agents like salt, oil, and grime – extending the life of your vehicle’s exterior paint and undercarriage. However, not all cleaning agents are created equal. 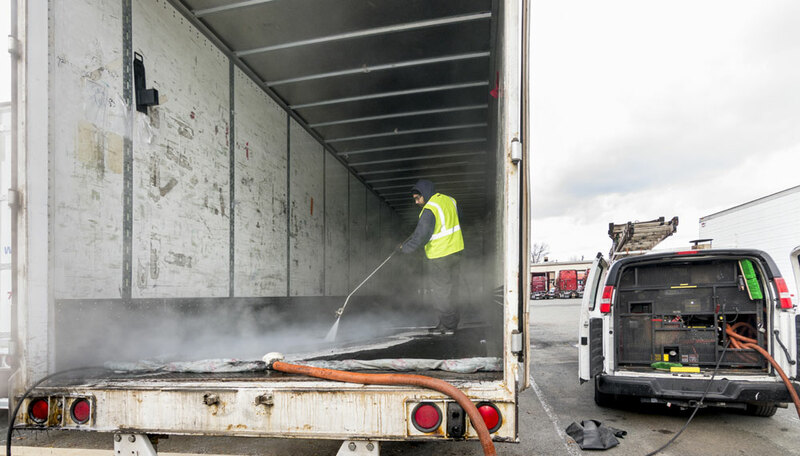 It’s important to use biodegradable and non-corrosive cleaning agents to protect your fleet, the environment, and your wallet from costly regulatory fines. 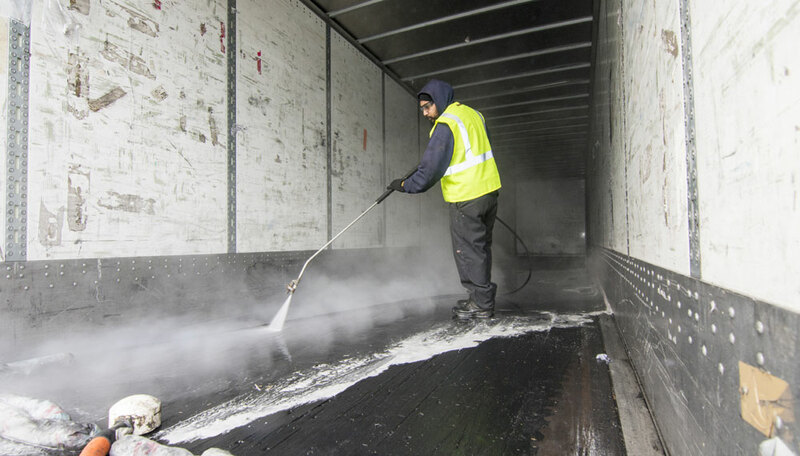 Many transportation terminals have permanent cleaning bays – but the liability of proper water recovery, costs of special equipment, equipment upkeep, and purchasing of biodegradable cleaning agents can be prohibitive. FLEETWASH will bring all material and supplies to the terminal, including several lengths of pressure hose and vacuum hose. FLEETWASH will use their patent-protected drain covers and water recovery system. 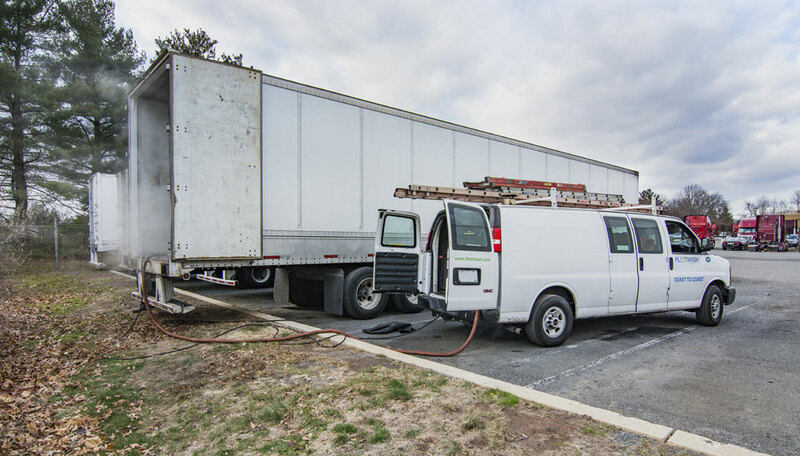 We clean your entire fleet or just one truck, including trailer washouts, at a time that is convenient for you. All water will be isolated, contained, and removed from the premises. Clients who have gravel lots or require 100% guaranteed wastewater collection, FLEETWASH will use their Mat wastewater collection system. 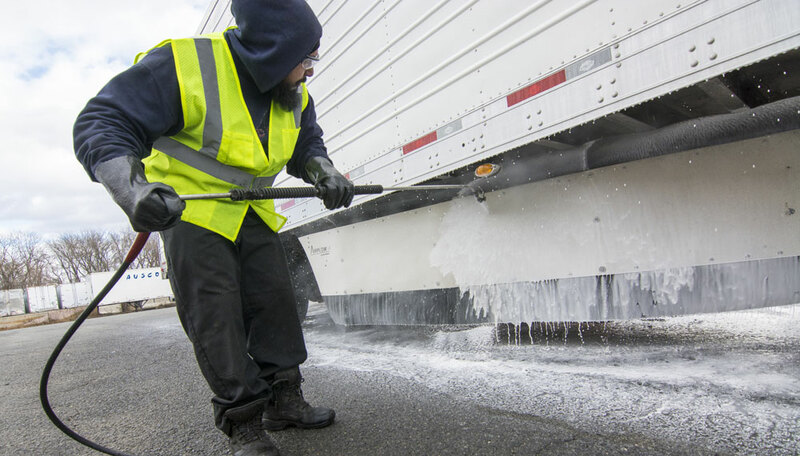 Transportation managers, fleet managers, and vehicle owners have relied on FLEETWASH for over 40 years. 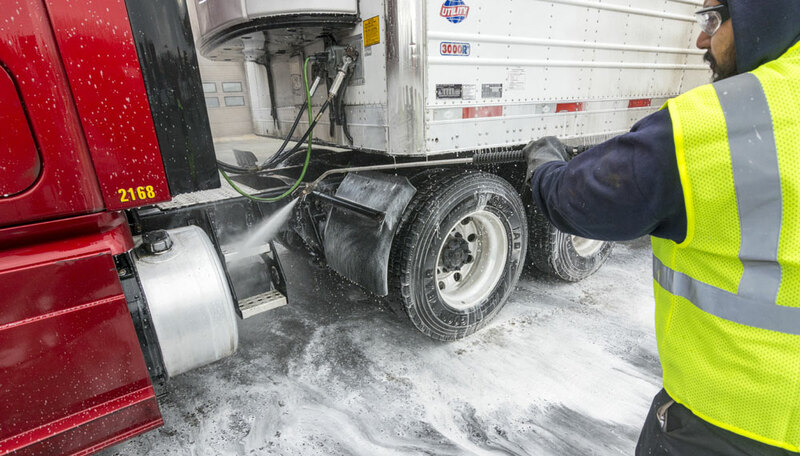 FLEETWASH applies noncorrosive, biodegradable cleansers to entire cab and trailer. FLEETWASH crew hand scrubs with soft brushes to remove grime, oil and dirt...without harm to your vehicle. FLEETWASH utilizes their patent-protected water recovery system to isolate, collect and remove all wastewater – keeping you GREEN and compliant with regulations. 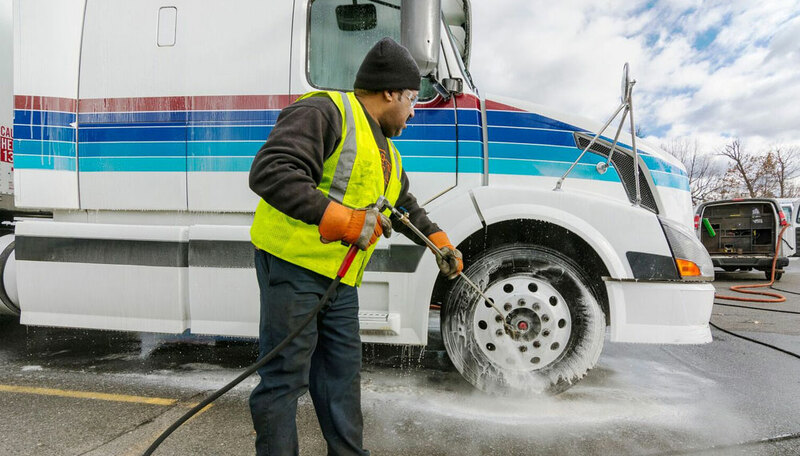 FLEETWASH uses a hot-wash rinse to get your fleet sparkling clean. FLEETWASH pays attention to every detail…no area is overlooked. FLEETWASH mobile wash can clean your fleet in any transportation hub – no need for expensive capital investments or washing bays. FLEETWASH removes the oil, grime and chemical build up that can damage your cab and trailer undercarriage. FLEETWASH can clean the inside of trailers as well. 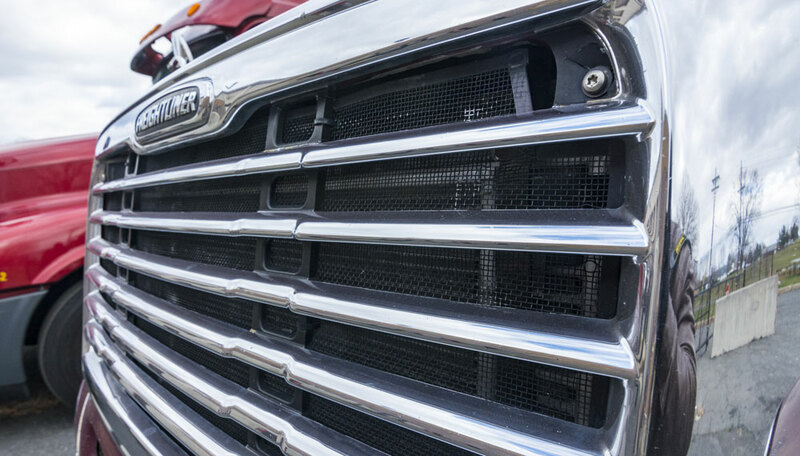 Trucks, trailers, buses, trains – any vehicle inside and out. If you have a gravel lot or require 100% guaranteed wastewater collection, FLEETWASH uses our mat water collection system. FLEETWASH Getting you clean while keeping you GREEN. Satisfaction guaranteed. 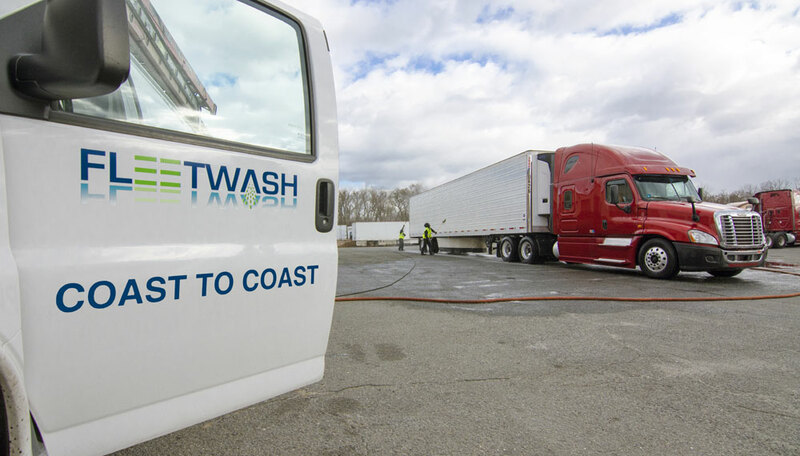 FLEETWASH is the LARGEST on-site truck washing company in the country with services available from Coast to Coast. 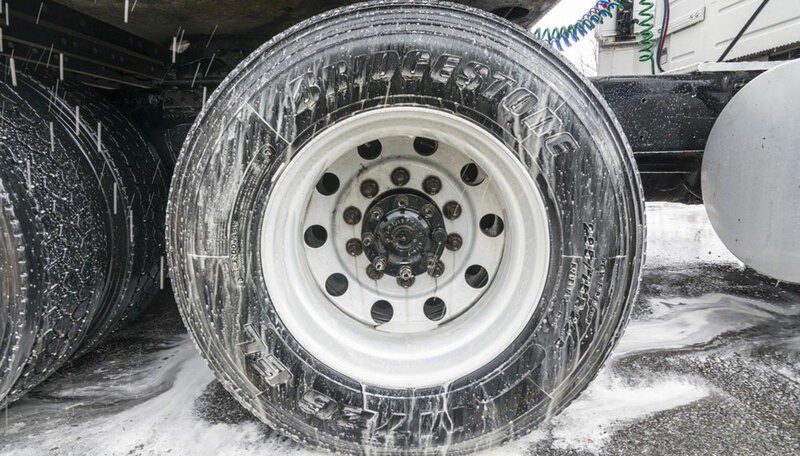 Truck owners save idling time and fuel by avoiding waiting in line for a mechanized washing. Bay owners save money be avoiding costly upkeep of cleaning equipment, biodegradable soaps, and employee time required for washing vehicles. In addition to the liability of proper regulation compliance. FLEETWASH field agents hand scrub then pressure-rinse the entire truck from hood to tail for a spot free finish. (Internal trailer washouts available as well). 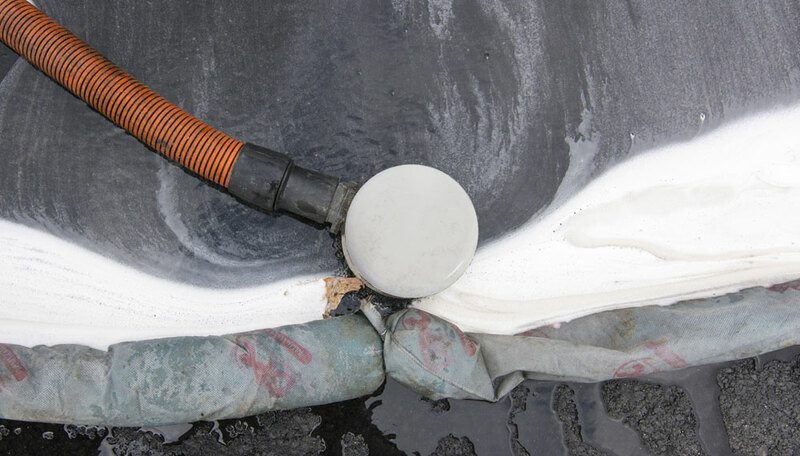 FLEETWASH collects and properly disposes of all water-run off utilizing their patent-protected water recovery system. FLEETWASH uses self contained wash units that carry their own water and power-supply.